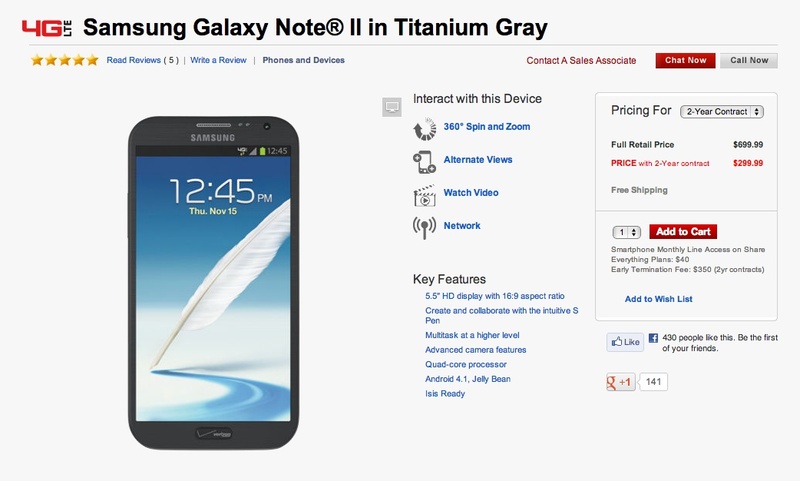 If you managed to wait all this time to get a hold of the Samsung Galaxy Note 2 on Verizon, and also didn’t feel like pre-ordering, then today is your day. The device can be purchased in-store or online for $299 on new 2-year contract in grey or white. If giving up that precious unlimited data doesn’t sound appealing, then you’ll have to fork out $700 to buy it off contract. We reviewed the T-Mobile version of the Note 2 a few weeks ago, with the only difference being LTE. Both Tim and I were very impressed by its power, speed, display, and software suite. Unfortunately for us, the size was a bit much. If you are on the fence about this phone, the only thing you need to do now is head into a store and get your little paws all over it to decide whether or not you can overcome its heft.